What makes an organization a good place for technology professionals to work? For the 25th year in a row, Computerworld has surveyed large, midsize and small organizations across the U.S. to find out which ones are the Best Places to Work in IT. Along the way, we’ve learned a lot about what the companies and other organizations that have made our 25 lists have in common. We’ve seen what goes into becoming a Best Place to Work. Salaries, paid time off, health insurance and retirement plans all contribute. But the things that seem to really set organizations apart are benefits that reflect an attitude: We value our employees, we listen to our employees, we empower our employees, we want our employees to be challenged and grow professionally, and we want them to enjoy both their work and their personal lives. Those are the things that the IT employees who responded to our survey have been most enthusiastic about, and it’s what all our list-toppers do most effectively. Read this special report to see which companies are the Best Places to Work in IT and what it is that makes them such desirable places to work. With unemployment low, demand for technology workers today is high, giving tech pros plenty of career opportunities. Yet Judd Williams, CIO for the National Collegiate Athletic Association, hasn’t had turnover among his 35-member IT team during the past two years. It’s not big paychecks that retain his workers, Williams says. Although the NCAA offers competitive compensation, Williams instead attributes his retention success to the myriad benefits offered by the Indianapolis-based nonprofit — from free tickets for championship events to Star Wars movie outings. NCAA headquarters. The association’s CIO attributes the low turnover in his IT organization to the myriad benefits offered by the nonprofit. “We do have to differentiate to attract and retain talent, so we focus on creating a better work environment,” Williams says. His IT workers enjoy flexible hours in the summer, an option to work from home once a week, a week off at Christmas, and opportunities to learn new skills and advance in their careers. They also get some unusual perks, such as afternoon trips to a nearby IMAX theater whenever there’s a new release in the Star Wars franchise, annual retreats for strategizing and socializing, and formal recognition programs that include the Penguin Award for risk-taking (named for the bird that dives into waters where predators could lurk). Williams acknowledges that these benefits don’t cost a lot to implement or take much time to administer. But they have big returns by helping retain talent and keeping workers happy and engaged, factors that contributed to the NCAA’s placement as the No. 7 small organization on Computerworld’s 2018 Best Places to Work in IT list. The NCAA is on to something. CIOs and executives at many companies that rank among the 2018 Best Places to Work in IT, as well as research and workplace experts, say competitive compensation is now a given, so workers seek out soft benefits — that is, those perks and programs that can foster energetic, supportive cultures. Moreover, CIOs such as Williams say offering these benefits helps them cultivate a strong workforce that in turn delivers better results. Monika Dowal, senior director of strategic partnerships at Mondo, an IT and tech staffing firm, says she constantly sees the importance of these kinds of benefits. “Soft benefits and benefits in general trump salaries when [candidates are] considering positions,” Dowal says. She says job candidates are increasingly asking about and weighing such corporate offerings when deciding where to apply and which job offers to accept. In fact, one recent candidate decided to accept a position as an IT project manager with a company because that employer offered paid time off for workers to volunteer. Dowal says tech workers today seem to value several specific benefits: professional development opportunities such as on-the-job training and financial support for advanced learning; assistance with paying off student loans; company-supported philanthropic programs such as mentoring and volunteering; and work-life balance policies such as flexible schedules, unlimited paid time off and telecommuting options. Some other low-cost perks popular among tech workers include standing desks in the office, conferences and speaking opportunities, free food, on-site fitness classes and meditation lessons. Consider this: In 2016 a survey from the job-review website Glassdoor found that 57% of job candidates listed benefits and perks among their top considerations for accepting a new role. A 2015 Glassdoor survey showed that nearly 80% of workers preferred new or additional benefits to a pay increase. “These benefits are becoming a massive consideration,” Dowal adds. Dave Piwowar, vice president of HR for Secure-24, an IT services provider, says he, too, has seen the power of benefits to draw and keep technical professionals. Piwowar says the Southfield, Mich.-based company, which ranks as the No. 6 small organization on the 2018 Best Places to Work in IT list, seeks input and feedback from staff about what they value. As a result, besides providing traditional benefits such as health insurance, Secure-24 offers more modern options such as an unlimited vacation time policy, flexible schedules and access to a weekly meditation program. It also adopted a casual dress code and company-funded happy hours. Those are held after work once or twice a month and are hosted on a rotating basis by different teams, which pick the menu of food and craft beers. Such benefits are offered to all of its 640 workers, since Secure-24 believes these programs benefit all types of professionals, Piwowar says. But the company also developed training and professional development programs specifically for its 550 technical workers, seeing that technologists particularly value company-sponsored learning opportunities. “Everybody wants to grow their careers and move forward, but our technical people especially are looking for the latest and greatest,” he says, noting that the company’s Academy Model training program, which gives entry-level workers a path to advance in the company, is highly valued by new hires. Ultimate Software, the No. 1 midsize organization on the Best Places to Work in IT list for the second year in a row, has similar benefits. 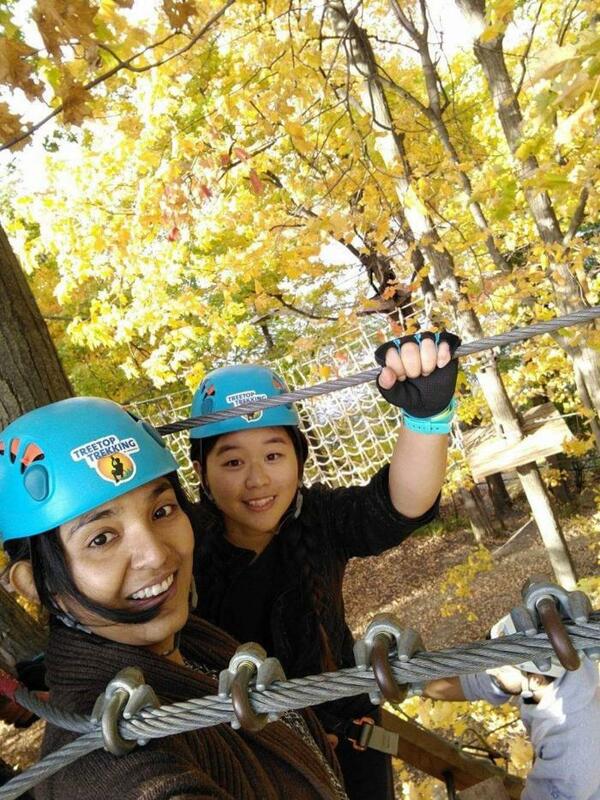 Anny Ly (right) celebrates her birthday by “treetop trekking” with Ultimate Software colleague Parsha Antara. Based in Weston, Fla., the HR software provider offers its 4,300 employees (over 1,500 of whom are IT workers) the benefits typically found in corporate settings today — health insurance, retirement savings, bonuses, etc. — says John Machado, vice president of development. Ultimate Software also offers its tech team specific benefits geared toward learning and career development, because tech workers tend to value those things more. Machado says the company has developed unique ways to deliver this benefit. It has what it calls “tribes,” groups of workers interested in a particular area, such as data, who meet and learn together, supported by the company. But Machado says Ultimate Software, like other leading employers, has found that employees want benefits that support a healthy work-life balance as well as camaraderie among colleagues. To that end, the company supports and provides funding for such activities as summer picnics and barbecues. Machado says such benefits don’t require much in company resources, but they’re critical for supporting the company’s broader workplace culture. “Anything that promotes a culture where our employees feel more engaged because they know we care about more than just them creating code pays huge dividends because of increased retention,” he adds. Although studies reinforce the importance of companies offering these kinds of benefits, leading employers say there’s no single perk that’s going to draw in workers or keep existing ones happy. Indeed, employers say they implement different types of benefits so they can meet the needs of an increasingly diverse workforce, where each worker has a list of what he or she values most — a list that changes over time. “It’s about the personalization of benefits to meet you where you are in your life — that’s the trend,” says Michele Alcazar, vice president of operations and strategy for technology at Prudential Financial, an insurance company based in Newark, N.J., and the No. 8 large organization on the 2018 Best Places to Work in IT list. Alcazar says Prudential, with 49,000 employees worldwide (and over 20,000 in the U.S.), including 3,000 IT staffers worldwide (more than 2,300 in the U.S.), has developed a range of benefits, from loan repayment programs for its college recruits to elder-care programs for older workers caring for aging parents. Those are in addition to competitive compensation, traditional benefits and more modern perks such as flextime and 10 weeks of paid parental leave for both mothers and fathers. Prudential also offers life coaching, coaching on health and personal finance, and mentoring, teaching and volunteer opportunities. 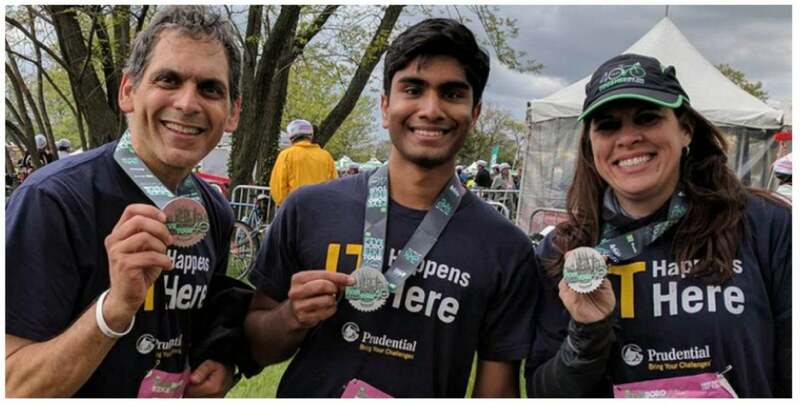 Prudential Financial employees Johnny Loperena, Abhinai “Abe” Pothireddy and Siobhan Wolohan rode together in the 2017 Bike New York Five Boro Bike Tour as a form of team building. 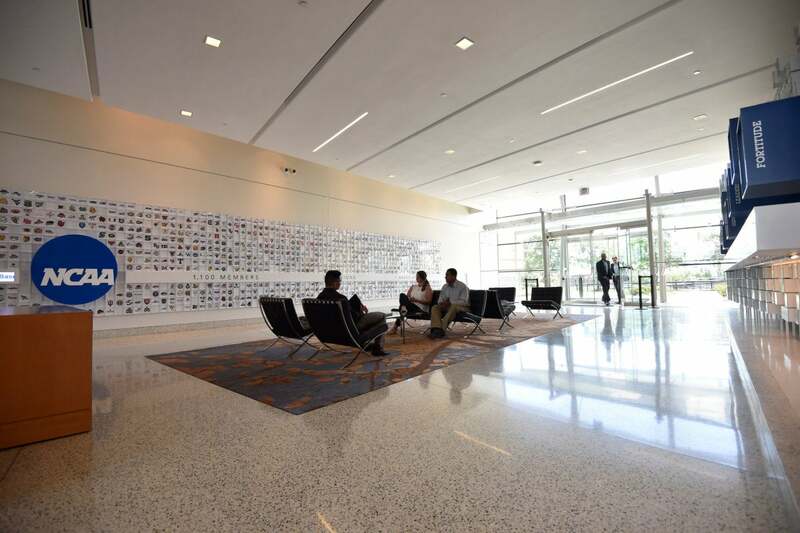 But companies have to do more than just offer a few benefits if they want to create and maintain great work environments, Alcazar and others say. They have to use the benefits to support the culture they want to cultivate, and likewise, the culture should support workers who seek to take advantage of the benefits; it does no good for anyone to offer benefits such as flexible schedules or tuition reimbursement if managers discourage workers from using them. Consider, for example, what Detroit-based Quicken Loans offers. Teresa Wynn, senior vice president in the company’s Office of the CIO, says the online mortgage lender, the No. 1 large company on the Best Places to Work in IT list for the fifth year running, offers a plethora of benefits to its 17,000 employees, many of which fall into that bucket of low-cost soft benefits. The company has mentoring and volunteer opportunities. It allows workers to take Monday afternoons to work on innovative pet projects. It supports learning and speaking opportunities so that employees can grow their skills and careers. Quicken Loans Technology team members enjoy the company’s annual IT Family Gathering, an event designed to recognize all-star team members, share wins and celebrate the year’s successes. Click to the next page to see the complete list of 2018 Best Places, divided by company size.